Union Finance Minister Piyush Goyal announced in the budget speech in Parliament today that full income tax rebate will be given for individual annual income up to Rs. 5 lakhs for the financial year 2019-2020. "Individuals with taxable income of Rs.5 lakh annually will get full tax rebate", the minister said. This is estimated to benefit about Rs. 3 crores middle class tax payers. Individuals having gross income up to Rs. 6.5 lakhs will not need to pay any tax if they make investments in providential funds and prescribed equities, he said. The FM also announced that the gratuity limit for the salaried class would be increased from Rs. 10 lakhs to Rs 20 lakhs. 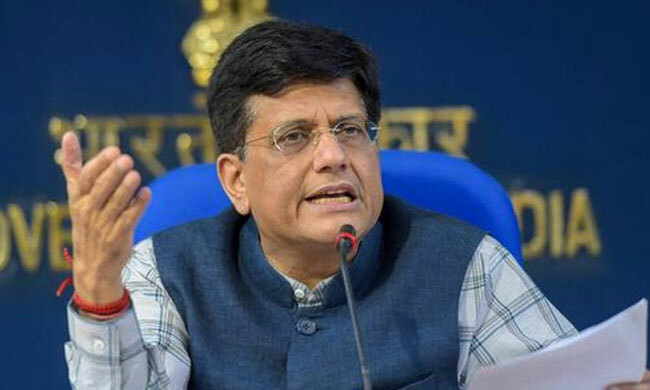 "To ensure safety to the family of a salaried person, if he or she dies prematurely, the government of India proposes to increase EPF limit from Rs.2.5 lakhs to Rs.6 lakhs", Goyal said. The limit for ESI eligibility is to be increased from Rs. 15,000 to Rs.21,000. Pension scheme for workers in unorganized sector. Scheme for monthly pension of Rs.3000 for workers in unorganized sector, after the age of 60 years, announced.